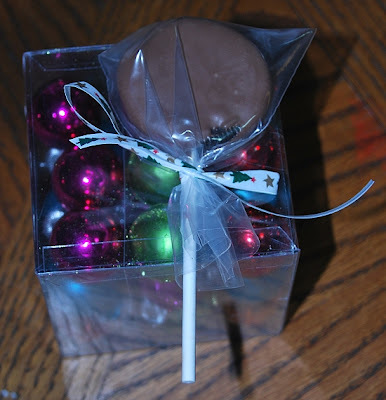 Being Frugal and Making It Work: Frugal Homemade Christmas Goodies! Every year I help my kids make gifts for Christmas! It's something they look forward to and we always have so much fun! 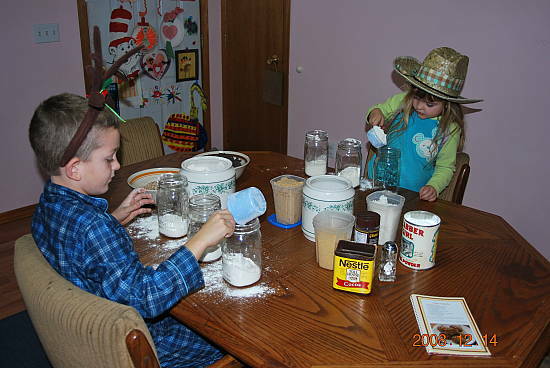 I have been doing this yearly tradition with my children since they were about 18 months old. Not only is it fun and educational... it teaches them something much more important... the value of GIVING! The joy on the kids faces when they hand people their homemade gift is priceless. You can see the joy in their eyes and their smiles! People love getting them too!! We put each Oreo on a sucker stick, it easily slides between the two cookie halves and right into the creamy center. 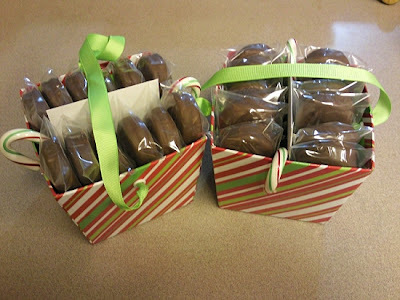 Put them into a small treat bag and tie with a decorative holiday ribbon. 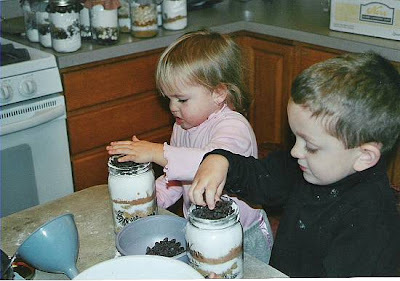 If the kids have added all the ingredients to the jar and there is still space at the top, the kids made up a rule! They call it a rule and I'm not going to argue with them! Their rule is simple yet great! If there is still space at the top --- ADD extra CHOCOLATE CHIPS! They say that there can never be too many chocolate chips and I would have to agree with them! 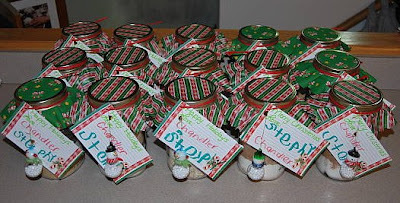 What homemade gifts are your favorite to give or receive? I need to make those cookies in a jar! It's always such a fun gift! Oh man...chocolate dipped Oreos. This post calls for a trip to the grocery store! Chocolate dipped Oreos are sinfully delicious! I love making homemade gifts!! This looks like a fun way to spend an afternoon with the kids - and knocking out a few gifts at the same time. Thanks! We do the oreos too! Oh, these are such great ideas!!! Delicious! These would be perfect for Valentine's Day too!